Before westerner knew of the crocodile monitor lizard the natives of New Guinea knew of another reptile of such proportions that their largest canoes were dwarfted by its size. Heuvelmans (1995) reported that this huge animal known as the "Row" by the Kirrirri Tribe, lives near the Merauke River, among the Sterren mountains. The "Row" is reported to be 25 feet long, has a horny flange surrounding its small head, with its body covered by irregular scales and has plates along its backbone. It is said to live in hot, humid, swampy lands similar to "The Lost World" by Sir Arthur Conan Doyle (1912). So is this lizard fact or myth? 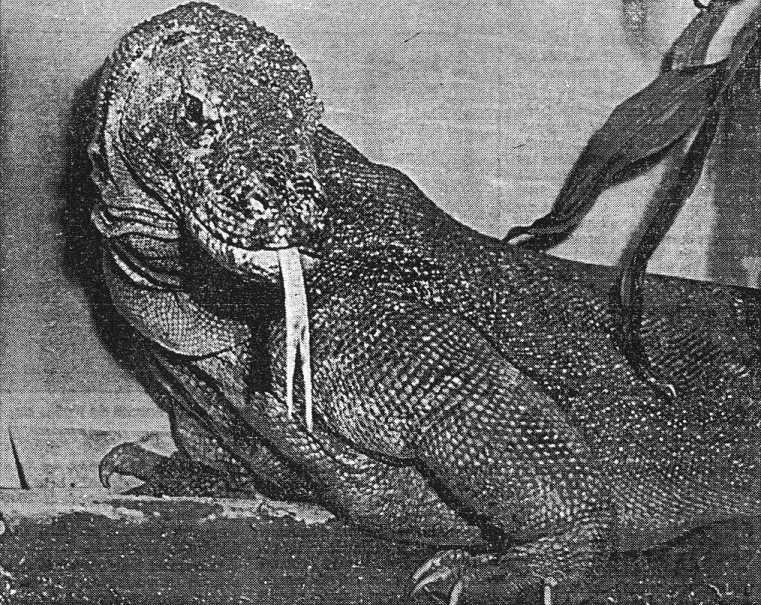 Another mystery lizard from New Guinea is depicted in Arthur C. Clarke's " Mysterious World" (vol. III) series. In the film it shows a very large monitor lizard walking along the shoreline of the Fly River, where it enters the river and swims away. There is no additional info on the footage and the person who took it has been unproductive. 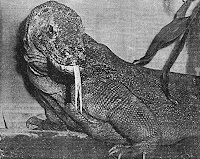 Dalton (1991) reports that along the banks of the Casurina coast of New Guinea is a lizard larger than the Komodo monitor know by the natives of that region sa the 'cuscus'. Are the Row, the Fly River Varnid, the cuscus, the Casuarine lizard and crocodile monitor the same animal? New Guinea still holds many secrets regarding this amazing lizard. Whether they are factual or mythical dosen't matter, because to the natives of New Guinea, they are real and will still be a part of the countries history. Leopard Geckos- the best pet lizard?